Do you have a building with exterior marble cladding that needs cleaning? Do you have a marble statue or other architectural feature that is discoloured and needs freshening up? APT soda blasting, or our unique ‘Hot Box’ low pressure steam cleaning is the solution. 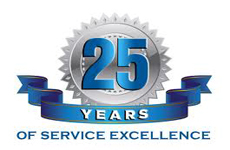 Our fully trained staff will soon have your building or marble feature back to its pristine condition! Soda blasting is one of our preferred methods of revitalising any exterior stonework including marble. Specially graded sodium bicarbonate crystals are fired against the marble surface using low pressure compressed air. The crystals are softer than marble and therefore are non-abrasive. They hit the surface to be cleaned at high speed and, although they are already very small, they shatter. The energy released is transferred to the contaminant, disrupting its surface and blowing it away. Soda blasting is an environmentally friendly method of marble cleaning. It works from the outside in, gently removing successve layers of the contamination until the surface of the marble is reached. Traditional methods are less controlled and will remove the layer of soiling in one fell swoop, potentially damaging the surface of your marble. APT are the leading Soda Blast cleaning contractor in the UK, call us on 01495 308 048 for further information. For very delicate sections or in locations that are sensitive to dust or steam, effective cleaning of marble can be carried out using our latex poultice. Please see our poultice cleaning page for full details. The skill in cleaning marble lies as much with the operator as the methods. 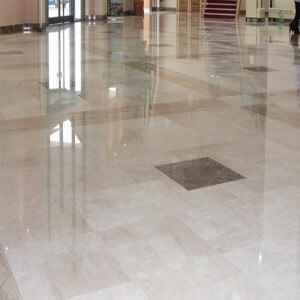 When you contract APT for your marble cleaning needs, you will feel the benefits. You can be assured of the best possible results – our staff undergo a rigorous training programme before they are sent out ‘into the field’. They also follow continued professional development courses as new methods, materials and equipment are developed. Contact APT now on 01495 308 048 for a no-obligation chat about marble cleaning and to find out how we can benefit your project. We will minimise disruption and inconvenience to your daily routine, including ‘out-of-hours’ working where necessary. We carry out a full risk assessment and ensure that the project conforms to Health and Safety regulations.